We will be taking time off for the holiday to spend time with family and friends. Magdaleno Ristorante will be closed July 2nd, 3rd, & 4th. We will resume normal hours on Thursday July 5th. 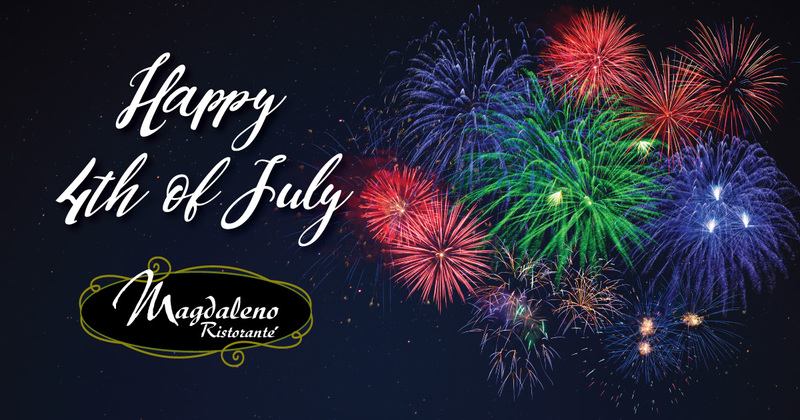 Please have a safe and happy holiday from all of us at Magdaleno's.